Since I was a wee child words have been my greatest asset. Word games? All me. Bring it on: Scrabble, Boggle, Words with Friends, even the ever fun family game of Words. I could out talk, and out verbally wit for that matter, just about anyone looking to verbally rumble. Ah, the good ol’ days when the words flowed like a Hawaiian volcano. Flash forward to 2017 and a 43-year-old writer. A person of words. A person who was a walking dictionary and thesaurus. Now I struggle for familiar words. The simple everyday words at that. In one story I struggled to recall the word charming. Imagine that. Not some crazy twelve letter twenty-dollar word. I was scrambling in my mind. It sounds like “C’,” like chair, like something yellow-orange (okay, I relate things to colors). It’s a man, like tall man, like that guy from that movie and a chair. I’m not saying the thought processes of my mind are fluid, but there’s a method to my madness. After finally looking up the name of Cinderella’s dream man, I was able to get the word. Then for ten minutes I shook my head and wondered what the hell was wrong with me. I was worried to the point I was almost physically ill. This isn’t something new. About five years ago I realized the words were escaping me. A real nightmare for any writer. Since I was twelve I suffered debilitating migraines and was once told, after a brain study, that I had lesions on my brain from the severity of the migraines. My personal research proves this is a possibility, which is why migraine sufferers have a greater chance of having a stroke (sorry, interjecting my medical career there). Back to the point: I wondered if perhaps lesions had anything to do with memory loss. Recently, I spoke with a few other men and women my age and took note that they all searched the vast blue sky for certain words that were “at the tip of their tongue.” After asking if they had more of a difficult time remembering simple words, they all said they did, that sometimes even simple words were a blur. Great!! I mean, not great, but yes. Loss of words is actually a part of the aging process, which is why verbal engagement and mental stimulation is so key as we get older. I have Thesauraus.com as a favorite on my computer, and such a lifesaver. I try to use new words everyday. I also work to recall a word using any kind of cue I can before looking it up. The computer is my last resort, though I’ve called in a life line or two. Me: Dasan, what is that thingy called? Me: You know. You go to someone’s house and you push the thingy so they answer the door. The pushy button thingy? Dasan: You mean a doorbell? It’s pretty much like that. So when my various writing groups pose the question, “What scares you most as a writer?” My answer is always the same: Losing the words. What scares you most as a writer? As a writer do you get a little worried about losing words? A definite war has been waged against self-published authors. Sentiments that just because you can take pen to paper and hit submit does not make you an author. In a world when anyone with access to internet can submit a book, what exactly defines an author? There has even been an argument over writer versus author in this article (Self-Publishers Should Not Be Called Authors, by Michael Kozlowski). The overwhelming amount of snobbery was clear, as it would appear the elite once again do not enjoy “indies” trampling their path. To summarize the article in a nutshell, Mr. Kozlowski states, “If you can earn your living from your writing, you are a professional author, anyone else is just a plain old writer.” The premise to most of this article is that self-published authors (or writers) have not honed in their craft and publish, for lack of a better word, crap. These are not the exceptions. I searched many different terminologies and encountered several different blogs, reports, and editorials waging battle against Self-Published authors. Take into consideration that many articles were first littered with self-proclamations of their success. After reading articles for hours, I, as a self-published author, felt more like a peasant at the house of the tax keeper begging for mercy. My place is not among the elite. Maybe that was their point: put us groveling self-pub writers, because we haven’t yet earned our stripes through multitudes of failure, in our order on the literary food chain. Can you say, accomplished writers eat their young? To recap: anybody who puts pen to paper (or types) is a writer. I wrote an email. I sent a text. A writer who has written a book, article, or report is an author. I am a self-published author. A professional author makes their living from their writings. Nicholas Sparks and James Patterson are professional authors. I am a registered nurse by profession and an author by passion. So why the war against self-published authors? If there is one main theme that runs through the disdain of each article it is one I can relate to the most: poorly edited books. Yes writers, just because you can put pen to paper and easily upload to a publishing platform, does not mean you should. I’ve written on this topic several times, and if you read the comments of some of those articles named above, you will see a plethora of readers agree that poorly edited books have turned them off to self-published books forever. They go so far as to research authors before purchasing books, and I do mean some deep research is going into this. Readers are most certainly looking for the next best thing, and they do not feel that traditional publishing is the be all to end all in books. They are looking for progressive story lines. Stories that break the rules. They are tired of being dictated to by big publishing houses. They want you! But, as a writer looking to author a book you have the duty to produce remarkable well polished work; inside and out. Yes. Yes. Yes. Readers judge a book by a cover. You don’t need to build upon failures in order to become accomplished, but you do need to know that self-publishing is not free, requires editing, requires the ability to take criticism, requires writes and rewrites until you want to throw your manuscript at a wall and never see it again. Sometimes it takes years and for others it takes months. Do not be that author that hits submit on a non-edited book, that took no criticism prior to publishing, just because the opportunity is there. These faulty books are damaging the reputations of self-published authors. With all that being said, for every article found on the internet bashing indie authors there is an article praising us. There may be a war waged against self-pub, but there is an army of accomplished and professional authors backing up our industry. We are not alone, but we must put our best foot forward. Sometimes our first book is a jumping off point, one that does not need to be published. I’ve worked with several new authors who bled through their first book then shelved it. That was the learning curve for them, and they knew it wasn’t worthy of publishing, but it was momentum to do better next time, to learn from mistake after mistake. And some get that award winning novel spot on the very first time. We are all different in skills, in stories, in our failures, but we must all strive to put out the best. You only get one chance to make a first impression, make it your best. And remember, you represent a larger group: self-published authors. After spending more than my self-allotted time on Facebook today, the running theme was the Meryl Streep speech. This blog is not a political debate and I will not go into politics. However, I will discuss “arts.” Ms. Streep made a rather bold comment that has sent MMA fighters globally into an uproar, whether her intention or not. The question now begging to be answered is: What are the arts? Are the arts only limited to those on stage or in productions? Have we lost sight of what the arts are? Have the arts evolved or devolved? According to Oxford, art can be defined as 1) the expression or application of human creative skill and imagination, typically in a visual form such as painting or sculpture, producing works to be appreciated primarily for their beauty or emotional power. 2) (the arts) the various branches of creative activity, such as painting, music, literature, and dance. 3) a skill at doing a specified thing, typically one acquired through practice. I would consider definition #2 to include artists, writers, poets, sculptors, singers/song writers, and dancers. In there I would add acting as well, as this is a dominant basis to portray stories through creative activity. That would be my opinion. Using the given Oxford definition then, Mixed Martial Arts, football, even culinary chefs would fall into definition #3, as they have honed into a special skill acquired through practice. This can also absorb definition #2, as a writer works at his skill acquired through practice: the art of writing. Similarly, the art of song writing, the art of basket weaving, the art of sculpting, the art of dance, the art of fighting, heck even the art of war. So here is my kick: as definition #2 (the arts) can easily dip into definition #3 (acquired skill), can acquired skill also be considered the arts? The definitions are so broad. Have you ever watched Tai Chi? The slow and fluid motions are almost poetic in nature and mesmerizing to watch. Would Tai Chi not be a creative activity defined as the arts? Again, the definition is quite broad and could not encompass every example of the arts, but instead gave the more prominent ones. Glass blowing: the arts or an acquired skill; the art of glass blowing? Tai Chi versus MMA; is there a difference? Definitions give to evolution in an ever changing world, but are the definitions variant through the eyes of the beholder? A husband and wife go to an art museum. The wife is in awe of the sculptures and paintings, to her that is art. They walk into the next museum, an air and space museum, and the husband sees the curves, the mass, the depth of an old WWII fighter plane and says that is true art. Which one is wrong? Are they both correct? Couldn’t building a plane be considered a creative art? I’m sure the Wright Brothers would love to hear that argument. My blog today was not to bash or trash, and definitely not to make a political statement, but rather to entice people to open their minds as to what is art and what are the arts. Are only the beautiful aspects to be considered art such as Tai Chi versus MMA? Are some form of the arts higher up on the evolutionary art ladder than others: slam poetry versus Hollywood movies? Is it art to portray a fighter in a movie but not to be a fighter? Is it art to portray a fighter pilot in war but not to be a fighter pilot in war? Have we evolved or devolved our definition of the arts over time? And if all of Hollywood disappeared today, would the arts disappear with it? I would love to hear your “non-political” input on what you consider to be the arts, or on Ms. Streep’s thoughts that without Hollywood there would be nothing left but football and MMA. Maybe the world could read the book instead of watching the film adaptation, but I’m a writer; I can dream. Not many things cause me to jump for joy, but today as I looked at my book stats on Amazon ranking, I noticed Be Still was ranked higher. How did I get sales? Facebook advertising. But that came at a cost of $30.00. One sale with a royalty of $1.75 at the cost of $30. This is marketing! Welcome. I’m still not being condescending. As an author and entrepreneur, and non-marketing expert, I have had to experiment with several avenues of advertising. Next month I will try Pinterest as I have found that Twitter has not panned out at all (and was very expensive). Another marketer contacted me today stating they could get my books into the hands of 100 bloggers and reviewers and would only cost $3,500. I asked how many they would guarantee would actually leave reviews and/or blog review, they had no answer. Again, buyer beware. As an independent author, I will continue to try different avenues of marketing. For now I will set my sights on preparing for the 2017 L.A. festival of Books coming up soon. I did find this venue to be great for making contacts and creating an email list. Sales weren’t fantastic, and I didn’t recoup my costs, but the exposure was fantastic. Sales to date have been good however, much of that has come at a cost of trial and error. I try and bring what I learn back to my blog but I still haven’t found that ultimate trick to “find readers.” If you have advise on Pinterest advertising, I’d love to hear from you. After publishing, the real hard work begins. Post a link to your newly published book and you’ll get the obligatory responses and purchases from select friends and family. But there are well over three million books in publication, ready to be purchased or downloaded at any given time. What makes yours stand apart? Of course you’ll need a social media presence, but be ready. Despite social media interaction, which may devour hours of the day, you may receive one or two, Hey wanna book swaps? Great to at least get ratings, maybe readings, perhaps a solid review, but those are few and far in between. Not to mention you are either buying their book or buying yours and gifting it to them. I’ve had sales off FB and Twitter, and lots of to be reads off Goodreads. Most of those well intentions come from other authors looking for reciprocity. Where do you get the readers? The following? Some companies offer marketing. I have tried several and gained several new authors as followers. But where are the readers? Your best bet is book bloggers, but good luck getting on their reading list any time soon. The good bloggers are backed up at least nine months. I have tried independent small marketing firms, mostly because I like to support the Mom & Pops out there. However, I have been burned by a few of those and recently disputed a fee through PayPal for one such company claiming they will publicize my book to over 15,000 readers on their blog and even more across social media for $14.99/month. I paid and never heard from them again. Being listed as a writer on Facebook, I quickly realized that I am now targeted for sponsored ads relating to writing, editing, publishing, and anything interconnected to the industry. I look through the ads, do my research, read the comments, look for reviews and find that most authors are greatly displeased with these services. After all, they can only guarantee exposure not sales. Writers have been targeted by pop-up companies and services in mass this year. Authors are a consumer targeted group. The best advice I have come across to date to sell more books is: WRITE MORE BOOKS. If you have any great advise for indie authors or have a service you’d like reviewed, leave a comment below. This is the 2nd year of my participation in National Novel Writing Month (NaNoWriMo). I am pleased to report this is my nine-year-old daughter’s first participation in the Young Writer’s NaNoWriMo, and her 1st win. This year we have won together. Thousands of writers, young and seasoned, participate in NaNoWriMo every November. The quest for adult writers is to hit 50,000 words in 30 days. 50,000 has been deemed the minimal number of words to consider a novel, as opposed to a novelette or a novella. Authors from across the globe do this one month marathon for many reason, and to each their own. For myself, I’m one of those people who loves a good challenge, but put accolades to be won in front of my nose and the competitor in me grunts and growls all the way to the finish line. I love trinkets, little charms, even digital, that show my accomplishments. A trophy for starting. A trophy for hitting 10,000 words. A little digital sticker for writing a specified amount of days in a row. Yep, those are my motivators. I should’ve been a Girl Scout, I would’ve been awesome. 50,000 words, although technically a novel, has never been enough words for me. I’m usually fetal and crying on the cutting room floor when an editor says 118,000 words is just too much. “B-b-b-but, they are my babies. I can’t just cut 10 to 18 thousand words!” Well, with that bit of information, my NaNoWriMo marathon is only the beginning. But after one month of prep, one month if strict writing and focus, an awful lot of inappropriate words, and sheer seclusion from anything other than fictional characters, I am spent. Plain and simple, the marathon for two years in a row has turned into the death of two stories. I’m just not fit to go on for another 50,000 (at least) words. Oye vay. Yet, there are those finish liners, those gold medal winners who go on and push forward through to completion. I salute you, and think there should be a digital NaNoWriMo golden book sticker for those writers whom complete NaNoWriMo AND actually keep writing their book to completion. Maybe then I would finish a marathon book. I do love my accomplishment awards. Am I the only writer out there that suffers NaNoWriMo hangover? I’d love to hear your comments. Many authors, painters, and sculptors get asked this question: Why is it so much? Newbies, you will want to read this. Coming from a very artistic family, my brother was often asked why his paintings cost so much? I have been asked to give books away for free.There are several ways to gauge a cost: How famous is the creator? How much time went into creating this work? How much were the materials to create this work? The one people most commonly will understand is how much material went into the work. They are more apt to understand a higher cost of something if, say a sculpture, was made of copper. The one people don’t usually understand is the value of time. Almost all people are paid by time; by the hour. You put in 8 hours at work and you are paid for those 8 hours. Of course, the hourly wage will depend on the type of work. Let’s just say that any indie artist is paid minimum wage (in CA that’s $10). As an independent author, writing a novel may take me 300 hours (that’s being generous). In theory, I should make $3,000. But nobody is paying me. My income comes from sales of books. On average, an independent author receives about $2.00 from the sale of a physical book and $1.75 from the sale of an e-book. Those prices fluctuate depending on how they went about publishing, so +-$1.00 in either direction. At a $15 dollar book, making only $2.00 royalty per book, I need to sell 1,500 books to earn minimum wage for my 300 hours. the average indie author sells 10 books. It’s a labor of love. I pay an editor $1500 to edit my book. I pay $100 to buy an ISBN for my book to be sold. I pay $500-$1500 to have someone professionally format that book. Then, I either publish on my own (Amazon) or go through a vanity press, in which you can tack on another $1,000 to $5,000 dollars. So recoup those costs, I’ve got to sell another 3,ooo+ books. A book lost in cyberspace is just that: Lost. Now I’ve got to let people know this book is alive. As an independent author, I’ve got a few devote friends and family, a loyal stalker or two, but no huge fan base that jumps for joy whenever a new book comes out. So I have to start marketing. My latest Facebook ad cost $38.83 to reach 2,300 people total. But that’s just reach. I need clicks. I need purchases!! Of those 2,300 reach 171 clicked through to see what I’m selling and about 7 downloaded the e-book. I spent $38.83 for 7 sales and made about $10. The question again: why does a book, painting, piece of art cost so much? Why can’t you float me a book for free? Because it cost more than I may ever recoup and nothing is ever really free. Even if I gave the book for free, it actually cost me my soul. See below for my October royalties. In total there were 9 books or e-books sold (ignore the 19 I had an author order of 10 books in there). Total gross sales were $68.83 and royalties paid to me were $15.40. I made about a quarter of the gross or $1.71 average per book. Who else would work for that? So why do it? I get asked that quite a bit. Why? Because writing is in my soul. This is what brings me comfort and peace. And if i could write for a living, I would absolutely do it. Once a year, maybe twice, I’ll get a great review, or someone who says that my story touched them or made them think. 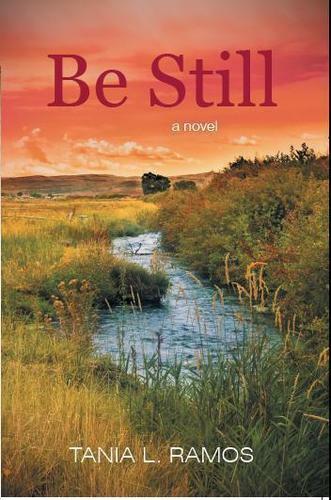 One person said she picked up the phone and called her father after ten years of being estranged from him, after reading my book Be Still. Yeah. That’s why. Happy reading and happy writing.